The world was on fire, No one could save me but you. Hi, this is the first fashion collection by DIPTYCH, a new label founded by two graduates from the University of Applied Arts in Vienna. 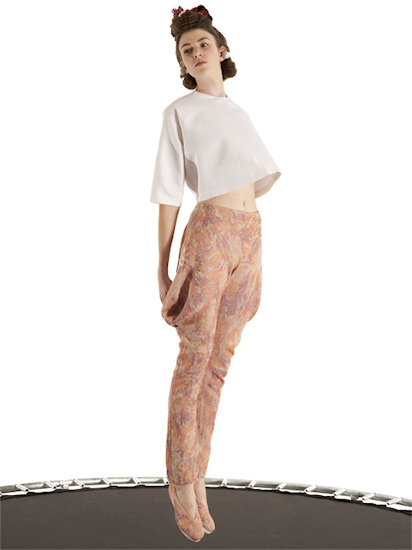 The name of the collection is from a song by Pipilotti Rist, a Swiss video artist, who also studied in Vienna. I love the song and the floating elements in DIPTYCH's fashion, which I tried to capture in this video clip. @Fashion Ranger: Thanks, I am also glad I decided to do this video and post, because often the smaller and new labels have more interesting and fresh concepts than the big ones.